This item comes packed in a nice display box for retailers to put these out on a table or shelf. The bag header also has a cut-out for hanging the product for display as well. 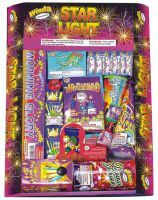 Equalizer is a large, safe & sane assortment loaded with fountains (aside from one box of snap & pops, this assortment has no "filler" product). It contains 8 large fountains, 5 medium fountains, 10 small fountains, 6 reloadable-style fountains, and 1 box of snap & pops! Full Power is a must-have assortment for resellers. 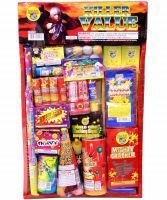 It packs a little bit of everything: fountains, aerials, and some small smoke and novelty items - all at a fantastic price point! 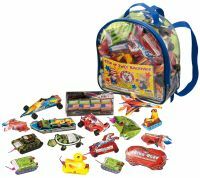 American Warrior packs a lot of variety into a great assortment! It includes fountains, saturn missile batteries, a variety of smaller repeaters, plus artillery shells. 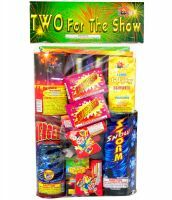 Fountains, repeaters, and artillery shells that are perfect for a family fireworks celebration. 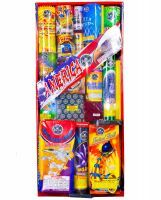 A great mix of fountains, firecrackers, repeaters, artillery shells, and more!